It's here again, the Cherry Creek Art Festival! Hosted in Denver’s Cherry Creek North District, the renowned festival is a FREE three-day celebration of art and artists. On July 6, 7 and 8, festival-goers will have the chance to see exhibited art of all kinds, including paintings, jewelry, ceramics, photography, digital art and more! The festival will also feature educational activities for people of all ages on "Artivity Avenue", and even live performances! The Cherry Creek Arts Festival embodies CherryArts's mission to support art and provide access to unforgettable art experiences. Find out more about how you can experience this one-of-a-kind art festival! Creative Law Network is a proud supporter of the Cherry Creek Art Festival. Dave Ratner at: A Cacophony of Creatives! Next Wednesday, local creatives get ready for the 2nd Annual A Cacophony of Creatives! We are proud to have Dave Ratner as the guest speaker for this special event! A Cacophony of Creatives is not only a meet and greet where attendees can network with creatives of all kinds, but an informational exchange. Dave will lead a discussion that will cover copyright law, intellectual property rights, music licensing and more! Thanks to CBCA Colorado Attorneys for the Arts and Greeley Creative District, A Cacophony of Creatives is an informative and fun event for everyone to enjoy! A comforting hand can be just the support you need when you're feeling down, but when an entire city is feeling down, why should the remedy be any different? That's the question that British artist Stuart Semple asks with Happy City: Art for the People. The artistic "intervention" is a city-wide project with the goal of uplifting spirits and comforting against the stresses and detractors in every-day life. Semple, known for his odd projects, such as creating a huge bounce cloud in Australia and shooting smiley face bubble-clouds ("Happy Clouds") through the sky, Semple's goal is to shake people out of the every day with silly installations that create real connections. Starting May 18 until late June and with the help of local and international artists, Denver will experience his creativity first-hand with: Jump (Bring Us Together) a block-sized dance party on an inflatable bed, Emotional Baggage Drop (hello stranger) an installation where strangers can confidentially open up to each other, a special release of Happy Clouds at Red Rocks during a live Colorado Symphony performance of Rachmaninov's Conerto No. 2, and many many more. Be on the lookout for all the exciting installations within the next month! For more information click: here! All people in the creative industry, from young musicians to DIY non-profits need support. Luckily, Colorado Creative Industry and sponsors, Bohemian Foundations and Illegal Pete's, know this well. While there are numerous hurdles that creative individuals face, CCI aims to lend a helping hand with two grants: the Career Advancement Grant and Colorado Creates Grant. The Career Advancement Grant is a special award for Colorado entrepreneurs and artists. The grant will match funds up to $2,500 with the goal of providing real changes, such as an increase in development, outreach and equipment for applicable creative artists and businesses. The deadline to apply is June 1st. The Colorado Creates Grant applies to organizations and communities. It has the focus of awarding funds for the creation of activities that will impact the community by championing culture and the arts! The deadline to apply for this grant is June 7th. Career Advancement Grant and Colorado Creates Grant. Colorado Business Committee for the Arts, in partnership with the College of Arts and Media at UCD is presenting a new series aimed at young musicians and tech heads alike! The inaugural Arts + Technology Forum will bring together professional business owners, professors and students for a session that will explore the many ways in which technology interacts with the arts. Appropriately, guest speakers will include Venka Purushothaman, Provost at LaSalle University and distinguished arts and cultural manager, and David Levin, co-founder of business communication company Four Winds Interactive. Music and technology interact in many exciting ways. With this informative event, you can learn just how strongly they affect each other in the modern world. Find out about pricing and register: here! Attention all musicians and music lovers! 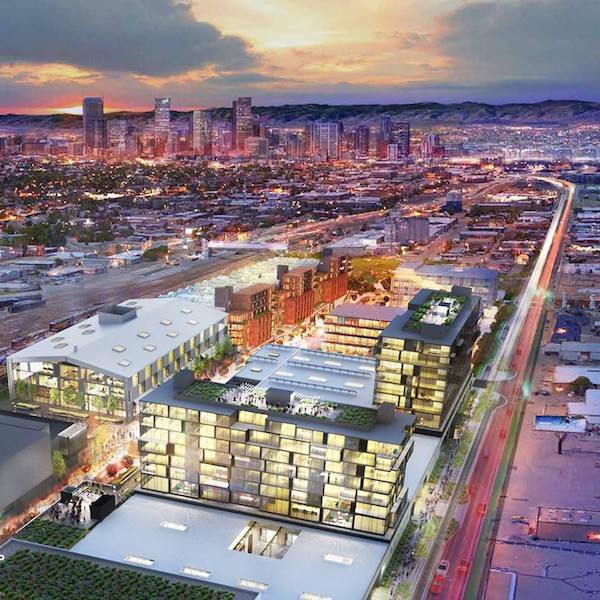 Just this week, AEG Presents Rocky Mountains made a huge announcement that they would be developing a brand new, 60,000-square-foot, 4,000-cap ballroom venue: The Mission Ballroom, set to open in 2019 in north RiNo! While this exciting news may come as a surprise to many, the project has been in the works for about 11 years. AEG has been hard at work to develop a new state-of-the-art venue to Colorado, and they believe that with it's flexible capacity, sight-lines, and Red Rocks-inspired seating structure, The Mission Ballroom will bring Colorado a cutting edge live music experience! The Mission is just one part of a larger planned effort to transform North Wynkoop into a new entertainment hub, with restaurants, bars, and retail services to come. Check out more info: here! Although their professions differ, artists and attorneys come together in their mutual appreciation and desire to safeguard art. In this spirit, Colorado Attorneys for the Arts along with Colorado Creative Industries present Art+Law in Fort Collins. This full day event features workshop discussions for both legal and creative business professionals. This will include You Can Help Artists, Too! a discussion covering the nuances of counseling creatives, an Interactive Networking Lunch and Intellectual Property and Legal Issues for Creatives a special workshop featuring our own Dave Ratner! The discussion will be two workshops in one, addressing the topics of Intellectual Property Law and common legal issues for creatives. Along with Fort Collins Patent Attorney Nicole Ressue, this workshop will be an informative and important event for attorneys and creatives alike. Art+Law: Fort Collins is a single full-day event on April 13, 2018 at the Carnegie Center for Creativity in Fort Collins. Register and find out more: here! This May in Greeley, Colorado Creative Industries will hold the 2018 Colorado Creative Industries Summit! This two-day event features performances, workshops and discussions for creative individuals to meet, network and learn from one another. We are proud to announce Dave Ratner's panel on Friday, Innovations in Art + Law + Technology. Presented by Colorado Business Committee for the Arts, this panel will cover the wide-ranging implications of technology in the world of creative production and strategies to help safeguard your work. The panel will be from 9:15am-10:45am on Friday May 11. Check out the full Summit schedule: here. Hope to see you there! Sometimes the most difficult step for young creatives can be bridging their artistic passion to the realities of the legal world, but Creative Law Network's Dave Ratner will show that the two are not so disparate. In another "Courses for Creatives" event, Colorado's Small Business Development Center presents: Navigating the Law for Creative Professionals: Legal Issues for Creatives. Tomorrow, from 5:30 PM to 7:30 PM at the Pikes Peak SBDC, Dave will facilitate an interactive workshop. Covering a topics like Intellectual Property Law, and strategies for running a small creative business, young creative professionals will have the opportunity to ask questions and better prepare themselves to operate within the world of creative law. The course will also provide information about CBCA's Colorado Attorneys for the Arts, a referral service designed to connect eligible creatives with volunteer attorneys to provide free legal services. This will be an event that young creatives will not want to miss! Max capacity for this event is 35 members. Find out how to register: here. The central purpose of law is to protect against the violation of human rights. In few instances has this cause been more necessary than against the uncountable human rights violations that took place during World War II. On Holocaust Remembrance Day, in the Wolf Theater at the Mizel Arts and Culture Center, the CSUSA, with the Colorado Bar Association and the University of Denver, will host a retrospective event: Nazi Looted Art: Recovering Masterpieces Stolen During the Holocaust. Attorney and arbitrator Raymond J. Dowd will lead an overview covering art theft by the Nazi regime during WWII, and with Associate Professor and art scholar Elizabeth Campbell, examine how these acts lead to the creation of looting laws and a years-long effort to return the stolen art back to their rightful owners. The evening will begin with cocktails and hors d'oeuvres at 5:30pm, followed by the event at 6:30.